Loft 28 West is 7,000 sq. ft. of loft space that boasts high ceilings, floor to ceiling windows, wood floors and exposed brick to create a trendy industrial-modern facility. 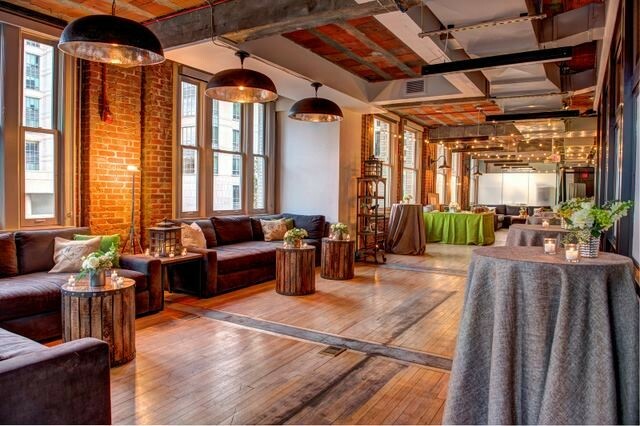 A century old building that was once a thriving coat factory is now a thoroughly modern space that is customized for a truly memorable event.